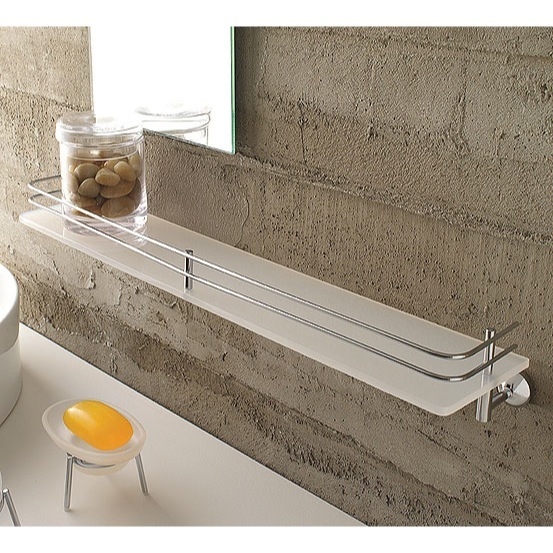 24 inch plexiglass bathroom shelf provides ample space for your bathroom storage needs. Polish chrome finished brass wall mountings and railings insure your belongings won't fall. This elegantly designed bathroom wall shelf mounts to the wall with screws. From the Riviera collection by Toscanaluce.